This Metal H.D.D. Mounting Bracket allow 3.5 inch hard drives to be mounted in standard 5.25 inch drive bays. It works with SATA, IDE, SCSI, SAS, or SCA drives and includes screws to mount the drive. 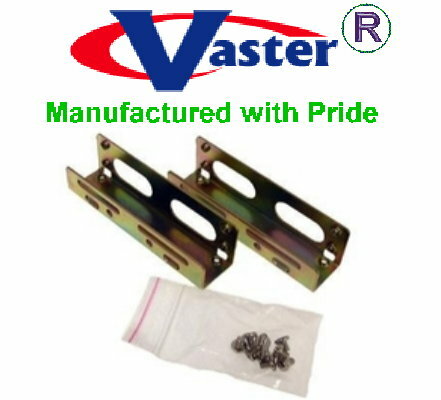 Features: A pair of 3 5/8 inches mounting strips with screws. This drive bay mounting bracket kit let your 3.5 " drives completely fitted into a 5.25 " drive bay. Copyright © 2016 VasterCable. All Rights Reserved.